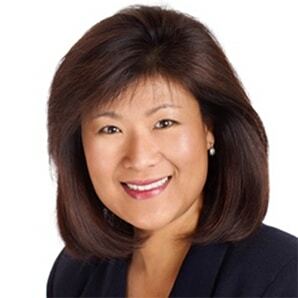 Ann is Senior Vice President and Chief Marketing Officer of Unisys, a $2.7 billion global technology company. Since joining Unisys in 2016, Ann has transformed Unisys marketing into a growth engine, increasing brand awareness, strategic partnerships, and go-to-market campaigns while driving significant new revenue growth. Ann has a track record of success leading marketing organizations at Fortune 500 and Silicon Valley startups including HP, eBay, Sybase, Symantec, LiveOps and SOASTA. In addition to the Wall Street Journal CMO Network, Ann is a member of the Mayfield Fund CMO Advisory Board and a recipient of several industry awards, including the 2017 ITSMA Marketing Excellence Award, DMN Marketing Hall of Femme, and CRM Excellence Award. Ann is a sought-after speaker on digital transformation, customer experience management, and women in tech, and is frequently quoted in tech and business publications including Forbes and CIO Magazine. With more than 25 years of experience managing global marketing functions, Ann has led some of the most successful innovations to address the most pressing business challenges through fast-evolving technologies and delivery models – from cloud, e-commerce, payments, social and mobile to advanced analytics and cybersecurity. Her unique blend of marketing, product, and engineering expertise makes Ann uniquely qualified to guide companies through transformational challenges. Prior to Unisys, Ann served as SVP & CMO at SOASTA, a leading digital performance management company acquired by Akamai. Before SOASTA, Ann was the CMO and SVP at LiveOps. Ann also served in executive positions at Symantec, Sybase (acquired by SAP), eBay and HP.